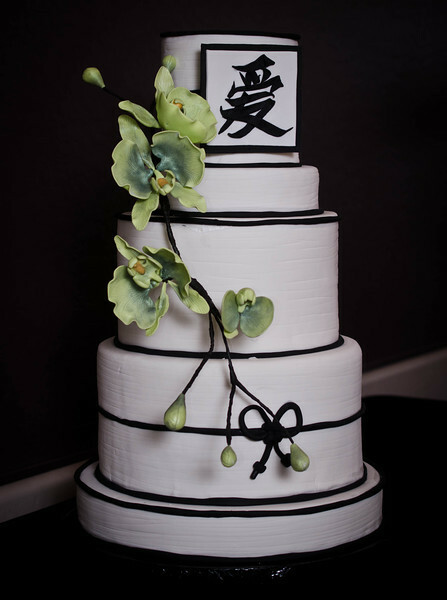 Asian-inspired 5-tier cake. This design was my own creation, start-to-finish. The placard displays the Japanese symbol for love, done in 3D "brush strokes." The beauty of this design is that the orchids take center stage and can be done in various colors.